In April 2016, The Graphic Cow Company approached Kopis with a dire situation. Their sole developer, who had built their custom ERP system, had passed away unexpectedly. At the time, this colleague was managing all daily processes and maintenance. When their daily processes stopped running, their order process went down and their updates quit working. For example, their database requires a daily update in order to integrate with PayPal and process payments. David and his management team had known they were outgrowing their legacy system and had been talking about investing in new software to replace their custom ERP solution for a while, but they were in growth mode and primarily focused on serving clients and growing new markets. Concurrently, their investments as a company weren’t in development advances, they were mostly centered around improving customer experience and product enhancements. 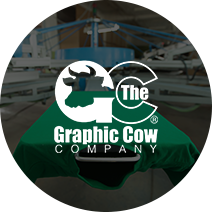 The Graphic Cow Company has been providing high-quality custom apparel to schools, student groups, churches, sports teams, companies, and other organizations since 1994. Originally founded in order to bring great art and fine design to the world of screen printing, the company has made many additional innovations during their two decades of operation, especially in the area of customer service. The Graphic Cow offers an integrated, individual payment platform and a personalized packaging process that makes collecting payments and distributing shirts to your group simple and seamless. Take the opportunity, while Kopis was ‘under the hood’, to modernize the application for its client base. With the crisis under control, Kopis spent the summer working through underlying structural improvements, automating previously manual processes. In addition, they worked with The Graphic Cow’s team to plan the larger front end improvement, as well as making recommendations for the best use of resources. Together with The Graphic Cow Company, they created a wish list and a six month plan, setting a launch date for early 2017. Graphic Cow launched its new, user-friendly website in early 2017. The new design provides a much more fun, interactive customer experience through the ordering process. In addition to getting rid of the registration requirement, the team decided to add elements of interactivity and exploration to the site.